Beautiful Home, Great Location, Wonderful Neighborhood! 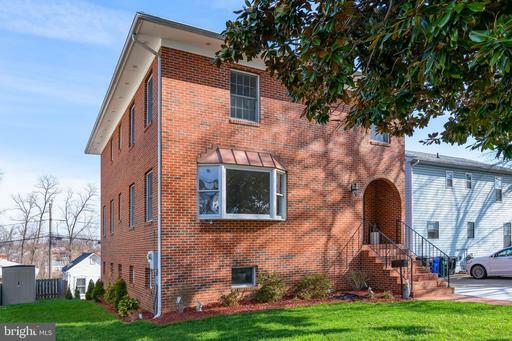 Welcome home to this spacious, all brick colonial home! An open floor plan with over 3300 total square feet of living space. Gleaming hardwood floors throughout the house that are simply stunning! Plenty of space to entertain family and friends. Potential 4th bedroom in basement. Separate, exterior, rear entrance to basement. New/remodeled, updated kitchen, New stainless steel appliances, gas stovetop, double wall oven, upstairs carpet, LG Washer/Dryer and Furnace. Master bedroom with walk-in closet. NO HOA. Minutes to Interstate 95/395, Crystal City, Reagan National Airport, Pentagon, Fort Myer, Washington-DC, the Mall, The Nationals Baseball Stadium, National Harbor Kennedy Center. Enjoy riding the ART Shuttle bus stop at the end of your street to get around Arlington and to the Metro or Pentagon. A short walk2 blocks over to the lighted playground tennis courts. A variety of shops and restaurants in Arlington along revitalized Columbia Pike, Crystal City, Pentagon City, Shirlington and Ballston. Home Warranty provided. There is so much to enjoy in this home ~ Stop by to see for yourself!